Ever since Donald Trump won the elections to be the next President of the United States, it’s as if the world and America specifically has entered a zone where even the most openly improbable things can happen. What happened at the evening of Monday November 17 in Hollywood at a pre-Los Angeles Show by automaker Ford could be one such occurrence. On the surface it seemed routine enough; Ford had unveiled a new compact SUV for the local market, the EcoSport. But what came next in the presentation came as quite a surprise to post-Trump America. You see, USA Today reports that Ford revealed where the EcoSport was made, at their overseas assembly plant in Chennai, India. It’s been in production there since 2013, bound for about 100 countries all over the world with 15% of the cars made sold in India. And starting in 2018 Ford will be importing the India-built car into the US. This came as something of a spur-of- the-moment decision especially in light of recent political developments. Ford had made plans to shift its local small-car productions from the US into Mexico, freeing all of its American workers towards putting together a greater number of the larger and pricier SUVs in their vehicle lineup. Such a move became problematic after Trump’s victory – he is involved in this news story after all – since he had promised as part of his platform to “take back jobs from overseas and return them to Americans”. As part of that general policy he plans to slap a 35% tax on all cars produced in Mexico – one of his favorite targets – for the US market, even if made by an American company with a plant there. And that most likely explains Ford’s decision to import from another country that Trump hasn’t quite been hostile to yet – India. 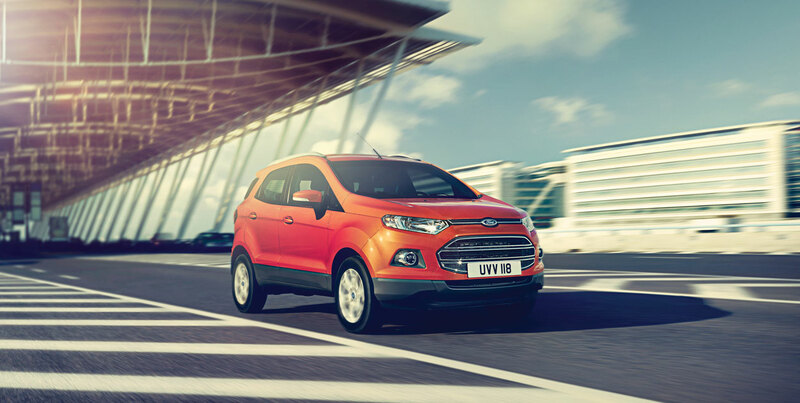 The EcoSport produced by the Chennai plant is seen as a smart move by Ford to increase its share in a US that’s rather eager for more compact SUVs or crossover vehicles; such cars have become the largest slice of the auto market pie locally. Ford’s strategy isn’t quite unique. General Motors have also begun importing their Buick Environ from assembly plants in China; thus far they’ve sold 8,500 of them to American buyers. Another import from China is the S60 Inscription for Volvo, itself now owned by Chinese automaker Geely. Canada is the largest exporter of cars to the US, with Japan in second place, Europe third, and Mexico fourth, all according to US trade data figures.